Villa Garrão Praia is located in Vale do Garrão - Quinta do Lago, 19 km from Albufeira. Faro is 10 km from the property. Free WiFi is available and free private parking is available on site. All units have a flat-screen TV with satellite channels. 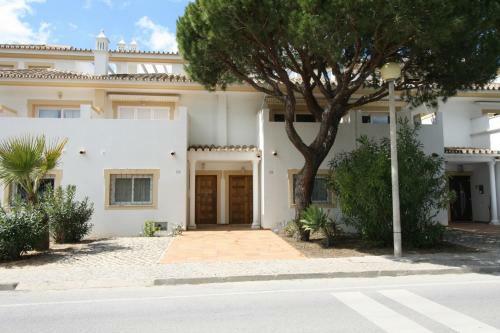 Located in Quinta do Lago, Santos Villa is a 15-minute walk from the beach and has an outdoor pool. It is 18 km from Faro and 3.3 km from Vale do Lobo Ocean Golf Course. The ample and bright 4-bedroom villa has 4 bathrooms, 3 of which are en suite.